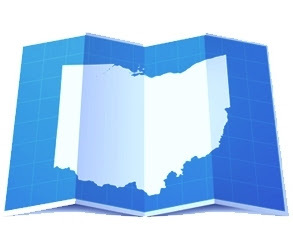 On Wednesday, April 1, 2009 from 7:30 a.m. - 10:00 a.m., NAIOP is hosting a program titled "Commercial Real Estate in Northeast Ohio: Where is the Market Now and When Will It Get Better?". The program will be held at The Club at Key Center, 127 Public Square, 4th Floor. Part 1 of the program includes an economic forecast by keynote speaker, Dr. Ted C. Jones, Senior Vice President-Chief Economist for Stewart Title Guaranty Company. Part 2 of the program is a panel discussion including David Browning, Managing Director of Brokerage Services for CB Richard Ellis, Steven J. Sweress, Principal/Partner of Pinnacle Financial Group, Inc., Peter Rubin, President/CEO of The Coral Company and Spencer N. Pisczak, President of Premier Development Partners, LLC as the panelists, and Andrew Coleman, an Associate with Jones Lang LaSalle as the moderator. Continuing education credits have been applied for brokerage/salesperson CE credits and for Department of Insurance CE credits.